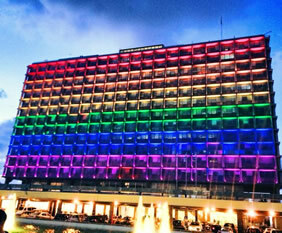 Tel Aviv, Jaffa, Haifa, Caesarea, Galilee, Golan Heights, Jerusalem, Masada, Dead Sea, Tel Aviv Pride, and more! Explore the complexities, beauty and challenges of ancient and modern life on this gay Israel cultural tour. We will uncover the archaeological beginnings of three great religions, introduce you to a thriving LGBT community, and expose you to the social labyrinths of modern Israel. 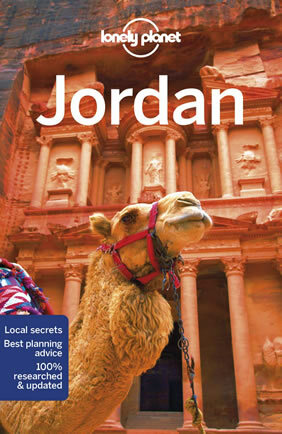 Consider an optional extension afterward to visit Petra and other landmarks of Jordan. Home to three of the world's most important religions, and filled with significant historical and religious sites, Israel is unlike anywhere else in the world. 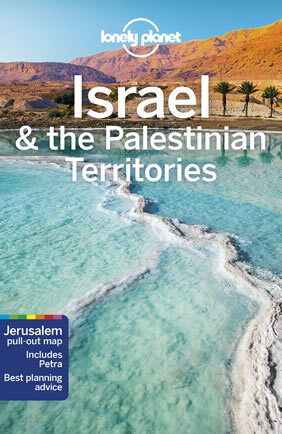 Modern Israel is a rich mosaic of ethnic and religious groups, each with long-standing ties to the land. To offer a more in-depth understanding of these communities, our tour not only explores the landscape and history of Israel, but features interactions with representatives of some of Israel's diverse groups. We start and end our tour in modern Tel Aviv. We will then drive around central and northern Israel to visit the Sea of Galilee and the Golan Heights. 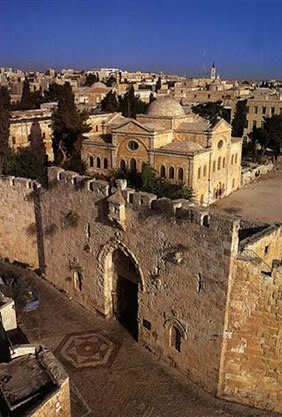 We will also explore the most famous sites in and around Jerusalem including: King David's tomb, the room of the Last Supper, the Western Wall and the Arab market. 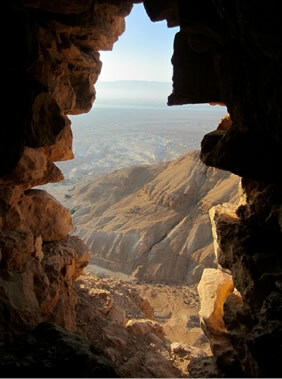 Another day will feature the ancient fortress of Masada overlooking the Dead Sea. Join us on a journey to this unique land as we explore ancient sites and contemporary life and enjoy the hospitality of this gay-friendly nation during our gay Israel tour. 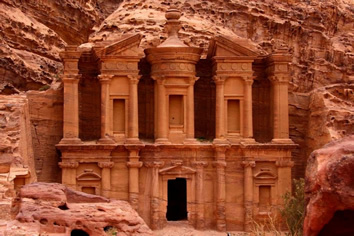 And for those with more time, our three-night extension to Petra and Amman, Jordan adds another rich chapter to your exploration of the region. • Start and end the tour in a beachfront hotel in modern Tel Aviv, near the gay beach. 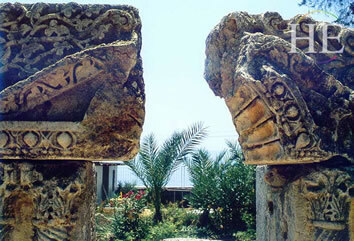 • Enjoy in-depth tours of archaeological sites. • Spend two nights in a gay-friendly kibbutz. • Hike along the lush Sea of Galilee and take a jeep ride to the Golan Heights. 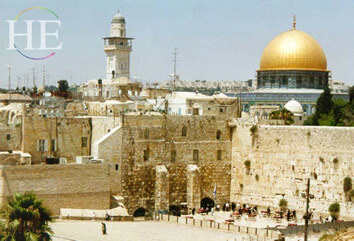 • Tour the Old City of Jerusalem including the most famous religious sites. 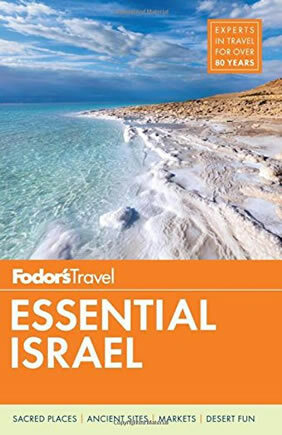 • Explore the ancient citadel of Masada, then float in the Dead Sea and enjoy the sights and sounds Israel has to offer. • Meet a variety of Israelis to learn more about Israeli gay life and to see how the people live and love their land, with discussions about contemporary life in Israel. • Extend your stay to visit Jordan, including Petra, Wadi Rum (Lawrence of Arabia's desert abode), Amman and the Jordan Valley. See 'Extension' for details. Upon arrival at Ben Gurion Airport, half-way between Tel Aviv and Jerusalem, you will be met and assisted by our local partners for your transfer to our beachside hotel in Tel Aviv. Tonight we will enjoy a welcome dinner where you can meet the other tour members. We will also provide all participants with a list of optional places to visit tonight, if you still have the energy to go out on the town. On our first full day in Israel, we'll explore the vibrant coastal city of Tel Aviv together, including the old port of Jaffa and the Bauhaus-inspired new city of Tel Aviv. One memorable sight is Independence Hall on Rothchild Blvd, where David Ben Gurion declared Israel's independence in 1948. Along the way we will visit Neve Tsedek, the first Jewish neighborhood in the northern area of Jaffa, which today is a cultural and entertainment center. Another stop will be Old Jaffa, now home to many art galleries, but the most important port in ancient times. Through this port the cedars from Lebanon were imported for use in building Solomon's Temple in Jerusalem. Because this day falls on the weekend day of Friday, the outdoor arts and crafts market is open, and Rothschild Blvd will be packed with shoppers. Nightlife should also be quite festive! On the morning of our second full day in Tel Aviv, you have a choice. We offer an optional tour to Bethlehem, including round-trip transportation from Tel Aviv, assistance with the border crossing, and visits to the Church of the Nativity and Manger Square, an overview of Shepherd Field, and a short stop at a souvenir shop. Those not going to Bethlehem can join our guide for a Tel Aviv walking tour, after which you'll have a free afternoon to visit the gay beach (just a 5 minute walk) or cultural institutions such as the Diaspora Museum at the University of Tel Aviv. This museum illustrates the life of the Jews in different communities around the world during 2000 years of exile. During our time in Tel Aviv and/or Jerusalem, we will meet with representatives from Israel's LGBT community to learn more about their lives and accomplishments in creating marriage rights and other achievements in this highly religious but diverse land. We start our day by driving north along the coast of the Mediterranean Sea to the well-preserved port city of Caesarea, the city that King Herod dedicated to Caesar Augustus more than 2,000 years ago. Among other sites that are still standing are a Roman amphitheatre and aqueduct. 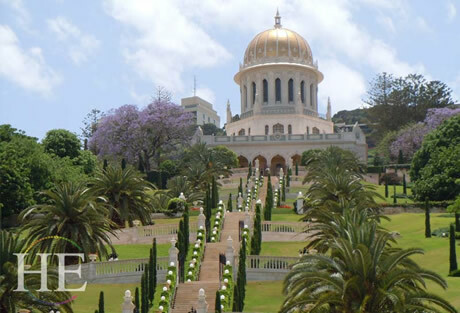 We will take a panoramic drive through Haifa, including a visit to the newly renovated Baha'i Temple with its golden dome and Persian gardens. Time permitting, we will also pause at the ancient city of Akko, before heading east toward the Sea of Galilee. Along the way, we will pass the surprisingly lush green hillsides of the region called Galilee, as we drive through Tiberias, and alongside the Sea (a large lake). Our home for the next two nights will be in the comfortable, modern guesthouse of a Kibbutz in the thin finger of Israel between Lebanon and Syria. During our one full day in the north, we'll take a jeep ride to the Golan Heights, and visit the Banias, also known by its Roman name of Caesarea Philippi, the major source of water for the Jordan River. We'll continue across the Golan Heights to visit the ancient synagogue at Katzrin and discuss the strategic value of this controversial region while viewing the Sea of Galilee to the west and Syria to the east. Enjoy a stop for wine tasting at one of the emerging boutique wineries in the region, before returning to our kibbutz for one more night. Time permitting, during our stay in the Galilee we'll visit the picturesque town of Rosh Pina, and we'll drive by the holy city of Safed, birthplace of the Kabbalah, with its ancient synagogues and its contemporary artists' colony. Today we drive south through the Jordan Valley, from Israel's northeastern tip toward Jerusalem. Along the way we will drive by Gilboa, where King Saul and his son Jonathan were killed and where David wrote his famous poetic legacy to his lover. We will also pass the modern Palestinian West Bank city of Jericho. One of today's highlights will be a visit to Beit Shean, one of the most magnificent archaeological sites in Israel, located at the strategic juncture of the Jezreel and Jordan Valleys. Like Jericho, it has been almost continuously inhabited throughout history. We'll start our exploration of Jerusalem with a panoramic overview from the Mount of Olives, which lies across an ancient valley from the Old City. Once we arrive at our deluxe hotel just outside the city walls, the rest of the evening will be free to start your exploration of this unique city. 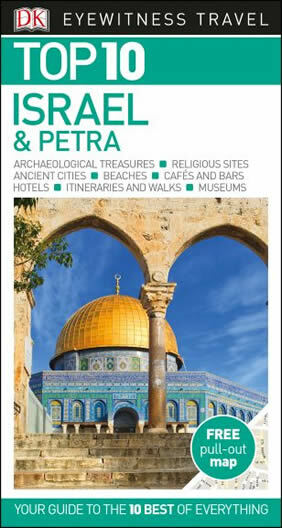 Following is a summary of our exploration of both ancient and modern Jerusalem. Please note that this schedule may change based on local conditions, but we plan to offer all of these activities. Our appreciation of the historic Old City of Jerusalem will include visiting elements of all four quarters: the Jewish, Arab, Christian and Armenian sections. To put the city in perspective, we'll start our tour with an overview at the David Citadel Museum at Jaffa Gate. 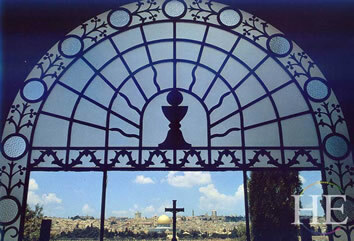 Highlights of our Jerusalem touring will be our visits to King David's Tomb and the Room of the Last Supper. We'll also enjoy the recently opened Davidson Center with its 3-D reality program that makes the local archaeological sites come alive. Of course, we'll also visit the Western Wall, the Southern Excavations, and the Broad Wall, and explore the Jewish Quarter. There will be a visit to the home of the Kathros Family, better known as the Burnt House. The Kathros Family were residents of Jerusalem during the first century AD, when this entire quarter of Jerusalem was burned in the year 70 AD. After lunch on your own, we head on to the Christian Quarter for a walk on a portion of the Via Dolorosa and into the Church of the Holy Sephulchre, which is jointly maintained by six different Christian denominations. No visit to the old city of Jerusalem would be complete without a visit to the Arab market to test your negotiating skills with the local merchants. As you make your way towards the Jaffa Gate, walk by the Citadel of David. Don't forget to pay your respects at the two almost forgotten tombs on your right – those of the architects of the Old City Walls. They were killed by the Ottoman sultan Suleiman the Magnificent in 1538, since they were the only people who knew all of the "secrets of the wall." Today we will also head outside the walls to visit Yad Vashem, Israel's recently renovated memorial to the Holocaust Victims. During our tour we will learn more about the latest walls to surround Jerusalem, Israel's controversial Security Barrier. We will gain insights as to why some Israeli's credit this wall for a significant reduction in violence against Israeli Jews, and why the Wall is viewed by others as a deep insult against Israel's Palestinian community. For our farewell dinner in Jerusalem tonight we will invite some members of the local LGBT community to get their perspective on daily life in Israel today. We depart Jerusalem with one last look at the Old City from Mount Scopus, home of Hebrew University. Then we head east across the desert to begin our exploration of the Judean Desert and the Dead Sea. We will stop at Masada, where we will ascend to the top via a cable car. This mountaintop fortress is best-known for the long siege of a small band of martyrs who were trapped there by Roman soldiers. However, it was originally built by King Herod, and still retains colorful elements of his royal rooms. After touring Masada, we slow down our busy touring schedule with lunch at a hotel overlooking the Dead Sea. 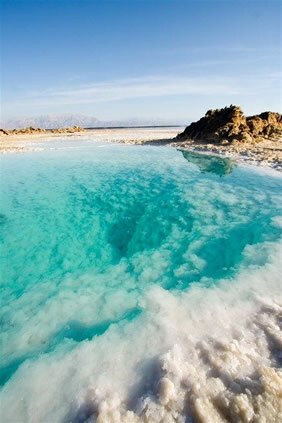 There will be time for an enjoyable "swim/float" in the world famous rejuvenating waters of the Dead Sea. The water is so salty that it is actually easier to float than to try to swim! And because the Dead Sea is over 1000 feet below sea level, the distance from the sun, combined with the ambiance of the air, makes it almost impossible to get a sun burn. We finish the day with a drive across the width of Israel from the Dead Sea coast to the Mediterranean coast, where we'll spend our last tour night at our waterfront hotel in Tel Aviv. You'll be just a short distance from the city's vast expanse of beach, and the active nightlife of this vibrant capital city, particularly lively on a Thursday night, the start of the weekend in Israel. Today we participate in Tel Aviv Pride, marching together down to the seashore and along the promenade to enjoy the warm spirit of the local gay community. Today is a day at leisure to relax, recuperate and enjoy a sunny day in Tel Aviv before your flight home, or the start of some extra days in Israel. (The transfer from Tel Aviv to Ben Gurion International Airport is included in the tour fee if you depart on the last tour day or arrange an extended stay with us). 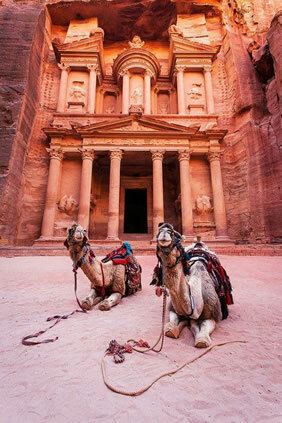 Or you can join us for a rewarding extension to the Hashemite Kingdom of Jordan, including Amman and the memorable archaeological site at Petra. In 2007 Petra was selected in a worldwide Internet vote as one of the New Seven Wonders of the World, so join us to see why! For travelers to continuing to Jordan, we check-out just after breakfast in order to transfer the to Sde Dov Tel Aviv domestic airport for a morning flight to Eilat. After our 50-minute flight across the Negev Desert, transfer 5 minutes to the border crossing to Aqaba, Jordan. After completing both Israeli and Jordanian border formalities we'll meet our Jordanian guide then stop for lunch (on your own) in Aqaba before starting our drive north toward Petra. During the drive we will pause for a 2-hour 4×4 ride at perhaps the second most iconic site in Jordan – Wadi Rum – a large valley surrounded by high dunes and walls of sandstone and granite, where Lawrence of Arabia based his operations during the Arab Revolt of 1917-1918. Next we drive north through the Jordanian desert to the Bedouin hillside town of Wadi Moussa (Moses' Oasis). From there we continue five miles further to our lovely hotel just outside the gates of Petra, where we check into our rooms for two nights. We will have dinner together at our hotel, and in the evening you may want to check out the distinctive Cave Bar for a nightcap. The next morning, following an early breakfast, an extraordinary day awaits us as we approach the ancient Nabatean capital of Petra. From the main entrance of the site we'll first ride in a horse-cart, then walk into the chasm (called a siq in Arabic) that ripped through the rock in a prehistoric quake. Petra's most famous monument, the Treasury, appears dramatically at the end of the siq. We will explore the Treasury, the 3000-seat theater from the first century, the Monastery and other sites. Marvel at the rose red stone and how the colors change as the day progresses. After lunch you can explore more of Petra on your own or relax and enjoy the amenities of our unique lodging just outside the entrance to Petra. This morning we start our drive north toward Amman with a visit to Mount Nebo, the site from which Moses, the great prophet of all three major religions of the region, was able to look across the Dead Sea into the Promised Land, although he was not permitted to enter. We then make a short drive east to Madaba, the city of mosaics, and we visit the Greek Orthodox Church of St. George with its sixth century Byzantine mosaic map of the Middle East. After lunch in Madaba we continue north on the 5000-year-old King's Highway toward Amman, a modern capital, but with a very long history. We will enjoy a panoramic tour of Amman, visiting the ancient Citadel high above the main part of the city, and a nearby museum showing the history of some of the many waves of armies and nomads who have passed through this place over the millennia. After we check into our hotel for one night the rest of the afternoon is free, before an included dinner at Books @ Café, which is also a great place to relax, have a good drink, meet Jordanians and strike up an interesting conversation. After breakfast, Following Jordanian and Israeli border formalities, we'll be met by an Israeli driver for our drive back past Jericho and Jerusalem to our hotel in Tel Aviv. There we can all pick up our main luggage. If you have a late evening flight, you can take our transfer to Ben Gurion Airport, or you can check into a Tel Aviv hotel to enjoy more of the city. Please let us know if you would like us to reserve extra hotel nights for you. For anyone with the time, this excursion into Jordan will provide a rich addition to your experiences within Israel. • All hotel service charges, government taxes, porterage, and gratuities for drivers and included meals. • HE Travel provides complimentary Medical & Evacuation Insurance for every US Resident on our group tours who does not have other coverage. • Personal items such as alcoholic beverages, telephone calls and laundry. • Medical and evacuation insurance. This tour starts and ends in Tel Aviv, Israel. To fully enjoy this tour you need to be able to walk around unevenly paved ancient sites for 1-4 hours each day. Most of our trips draw more single travelers than couples. When couples do join us, it's usually because they're looking forward to interacting with a gay group; if they wanted a holiday by themselves, they wouldn't have signed up to travel with us. Furthermore, the activities included with our trips serve as natural ice-breakers. Within a day, you'll be traveling with friends. You don't need to pay the single supplement if you're traveling alone. We'll be happy to match you with a roommate. Pay the single supplement only if you want a bedroom to yourself. How do I fly to Israel? Israel's only major international airport is Tel Aviv's Ben Gurion International Airport (TLV). If I have extra time in Jerusalem, where should I go? The Cenaculum is in the upper story of David's Tomb on Mount Zion. This is the site of Jesus' Last Supper – a Passover Seder. It was on this occasion that Jesus gave his disciples bread, saying "This is my body" and wine saying "This is my blood". Tradition also associates this site with the miracle of Pentecost. The Cardo is one of the most conspicuous Roman-Byzantine sites. It was built atop the ruins of Jerusalem in 70 and 135 AD. It has 2 broad thoroughfares intersecting at right angles. One section of the Cardo (the closed Cardo) has been completely restored and has many small stores where segments of other archeological discoveries can be seen amongst the stores. The Convent of the Sisters of Zion was built on a site that has yielded remains of ancient ruins from the Roman era. Inside the church a flight of stairs leads down to the Lithostratos (stone floor). The heart of the church is an ancient arch built of small stones. Damascus Gate is one of the original 7 gates of the walled city of Jerusalem built during the 16th century by the Ottoman Ruler Suleiman. Originally it had 7 gates. An 8th was added in the late 19th century, very aptly named The New Gate. Damascus Gate is one of the largest gates located on the northern site. Dome of the Rock (Al Aksa Mosque) is one of the oldest Muslim monuments in existence, but is often closed to the public. It was completed in 691 AD. The building has been modified and renovated throughout the history of mankind, even serving as a Crusader church where its 7th century format has still been preserved. This structure is distinctive for its precise geometrical proportions and golden dome. Dominus Flevit Franciscans Church, whose Latin name means "The Lord Wept," marks the place where Jesus wept for the city's future destruction before his crucifixion. This prophecy came true in 70 AD when opulent Jerusalem was leveled by the Romans. Most churches in Jerusalem face east; this church however faces west. The Golden Gate is a sealed gate on the eastern side and was built during 640 AD, either by the last of the Byzantine rulers or by the first of the Arab conquerors. Tradition equates this gate with the one mentioned in Ezekiel's prophecy. It is also believed that an earlier gate is preserved underneath the current gate. Web Page © Happy Travel, Ltd. Logos and Images © Atlantis Events Inc., HE Travel, etc.